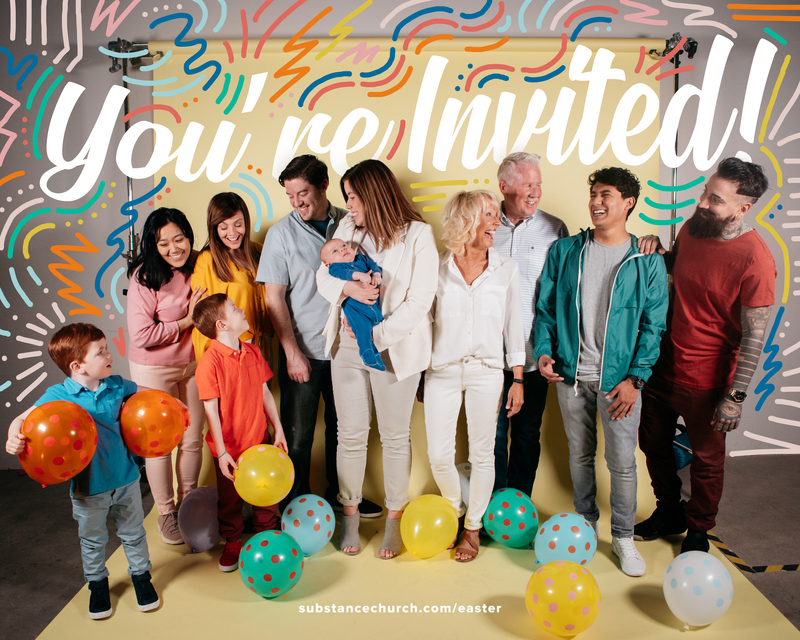 Grab one of these graphics to post on your social media and invite friends, family, and anyone who would love to experience Easter at Substance! 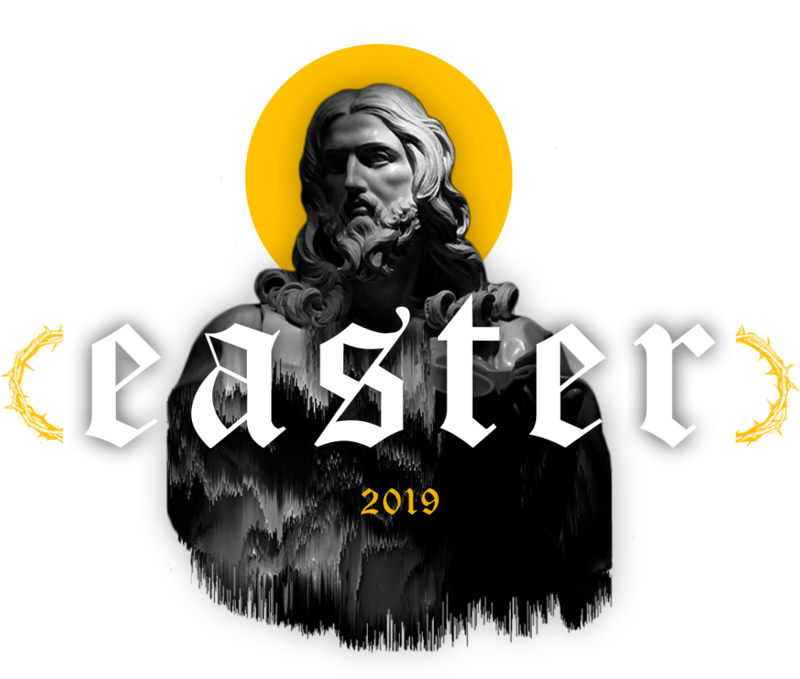 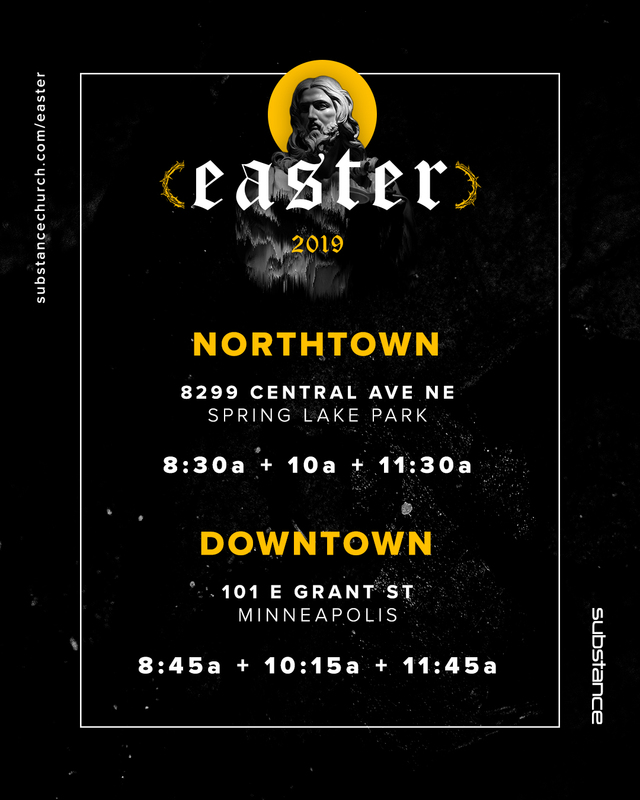 Join us at our Northtown Campus on Easter Sunday, April 21st. 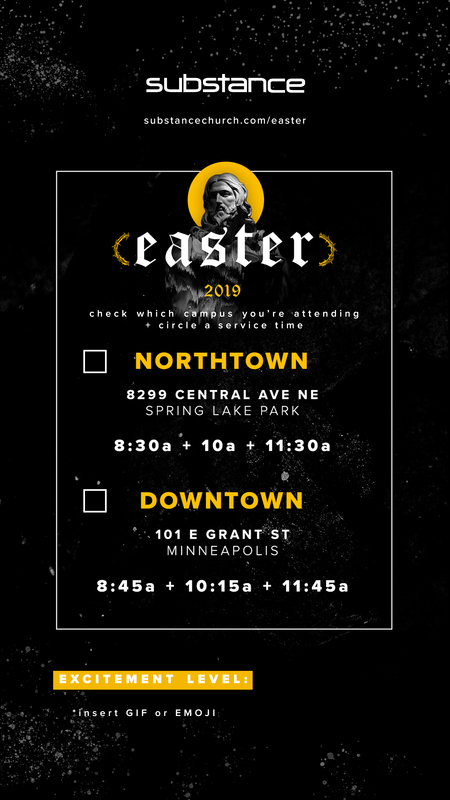 Join us at our Downtown Campus on Easter Sunday, April 21st.